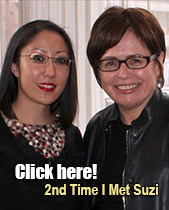 It feels like forever and a day since I blogged on here. So much has happened behind the scenes. After the recent passing of my best friend’s dad and someone else suffering a stroke that paralyzed half of her body, I was reminded of the importance of stopping to smell the flowers and appreciating little moments. Today, I’d love to share with you the Essie Summer 2017 Collection, which officially launches on June 13! This Parisian-inspired collection graces nails with six sweet shades ranging from pastel blue and pink foil to soft lilac and iridescent white. My first impression was that the Essie Summer 2017 Collection reminded me more of traditional spring colours, but, if you’ve poked around my blog for a while, you should get the memo that I’m a big believer in wearing whatever you want, whenever you want. There are no hard and fast rules when it comes to nail polish. Express yourself, and have fun! 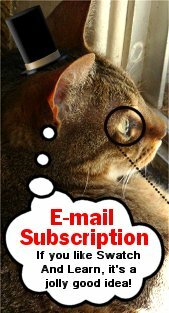 I really love how mainstream companies are breaking away from “what’s expected” for a given season. It adds that ‘wild card,’ which I appreciate. All of these swatches have two coats, except for the white, which has three coats. All of the nail polishes have easy-to-work-with formulas that glide on like a dream with David Beckham. Plus they are buildable, so you can cover the nail line. 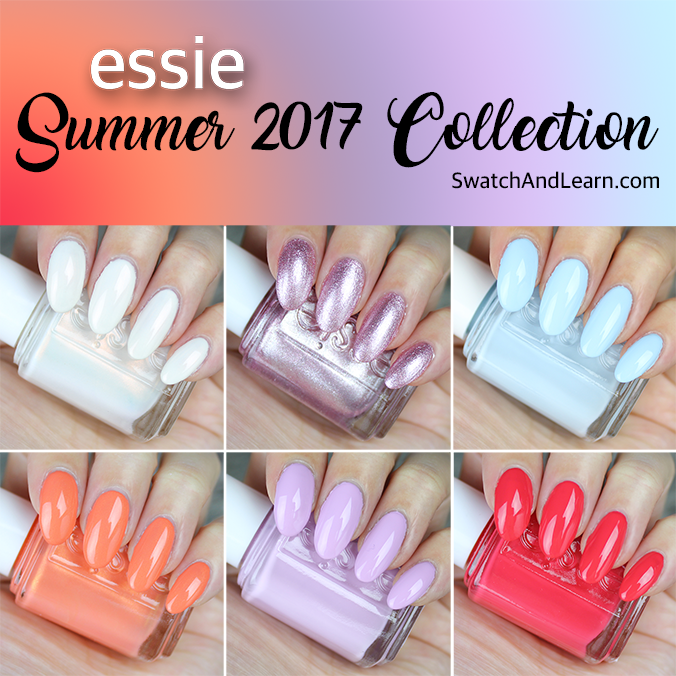 This entry was posted in Nail Polish Swatches & Reviews, Product Reviews, Quick Look and tagged Essie, Essie Baguette Me Not, Essie Blue-La-La, Essie Eclair My Love, Essie Fondant of You, Essie S'il Vous Play, Essie Summer 2017 Collection, Essie Sweet Souffle on June 6, 2017 by Mary S..